And more. Our extensive manufacturing capabilities and deep industry expertise make us the ideal choice for any upcoming project. Keep reading for details about who we are, who we serve and what we can do for you. Strong: Aluminum’s superior strength makes it a good choice for any demanding application. Aluminum structural beams can be as strong as steel components, making them suitable for construction use and other applications where reliability is essential. Custom aluminum extrusion alloys available through Pennex allow for higher mechanical properties and lighter components. Lightweight: Aluminum offers one of the best strength-to-weight ratios of any metal alloy. 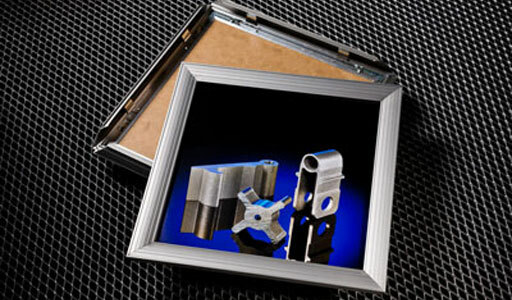 As a result, it is frequently used in automotive applications, where overall vehicle weights must be kept to a minimum, but frame rigidity can’t be compromised. Aluminum is becoming the metal of choice in the automotive industry for crash management, NVH and structural components. Corrosion resistant: Aluminum will also withstand long-term exposure to the elements. It’s for this reason that it is often used in fencing, ducting, connectors, fasteners and other outdoor components where corrosion resistance is essential. Sustainable: Aluminum is infinitely recycleable. It can be recycled again and again with no loss in quality. All Pennex Aluminum Company fabricated aluminum products contain at least 80% recycled materials. The remelt process is also highly energy-efficient. The remelt process uses 95% less energy to cast billet than to primary aluminum ingot. In short, there are several reasons why aluminum is prized in such a diversity of applications. Our products are available in a range of grades to meet the needs of some of today’s most demanding clients in almost any industry. Our production facilities include two cast houses, and our team includes highly skilled metallurgists with expertise matching a project with the right material. Whether it’s a common aluminum alloy or a custom product engineered for specific properties, we can help. Precision equipment helps us meet the demanding standards of the automotive and related industries, while a unique quench system allows for higher-than-standard material properties in several alloy options. Our Leetonia facility is ISO/TS 16949:2002 certified for quality management in the production of fabricated and finished aluminum extrusions. We can provide CNC machining, precision cutting, miter cutting, punching, notching, bending, welding, deburring, finishing, assembly and more. For more information about any of our services, contact our head office directly.